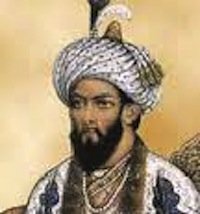 Medieval India history introduced the religion of Islam to the country. Islam entered the country during this era of India History when it was through introduced in the southwestern state of Kerala. The State traded with the Roman Empire and various Muslim traders. These Muslim traders brought with them the Islamic religion. In 712 A.D., Muslim rule over India began. It started when an Arab General named Mohammad bin Qasim conquered the cities of Sindh and Multan; these were prime cities, located in what is now the Punjab state of Northern India. Invasions were not only carried out by Muslims; various central Asian countries invaded India from the tenth through the fifteenth centuries A.D. and enabled the Dehli Sultanate and Mughal Empires to grow in strength and rule over India. The Mughal Empire ruled most of northern India during this period of Medieval India History. Mughal rulers introduced middle-easternartwork and architecture to India. At the same time, many Rajput Kingdoms and Hindu empires flourished simultaneously. Vijayanagara, Maratha, and the Ahom Kingdom are examples of some kingdoms that ruled independently in tandem. The Maratha Empire is an important part of Indian history because its ruling territories covered most of South Asia! It came to power from 1674 to 1819, and started under the control of a man named Chatrapati Shivaji Maharaj. Chatrapati Shivaji was originally a warrior, but later became the Ruler of the Kingdom. The Maratha Empire spread under the rule of Brahman Prime Ministers known as the Peshwas, who came to rule after the defeat and fall of the Mughal Emperor Aurangzeb. The Maratha Empire came to a halt when it lost a very famous battle in the eighteenth century called the Third Battle of Panipat, which was fought against the Afghan Army. The empire divided into a Confederacy of states at that time. It was then that India's Modern History began. Leave Medieval India History to explore more of India's history. Check out what it's like in India today! Visit our homepage to continue exploring India!